With several projects underway in Brickell and other parts of Miami, Jorge Perez has yet another Brickell condominium in the works. Once completed, the plans show that Brickell Heights will house 690 units and 85,000 square feet of retail space in two 49-story towers. The towers plan to house one, two, three and four-bedroom units with penthouses on the upper floors with living space ranging between 900 and 9,000 square feet. Still, probably the coolest feature at Brickell Heights is the parking garage that will showcase a large mural painted by artist Fabian Bruno. Perez is known as a true art aficionado and seems to be taking is passion to a whole new level. Located on a premier piece of Brickell property, Brickell Heights will be positioned between Mary Brickell Village and Brickell City Centre. This location is literally close to everything in Brickell as well as just a short walk from Biscayne Bay. Jorge Perez, CEO of the The Related Group is at the helm of this new condominium project. Once again, Arquitectonica has been tapped to design the buildings along with the Rockwell Group. Known for designing other Related Group projects like Icon Brickell, Icon Bay and SLS Brickell, Arquitectonica has a strong foundation with Miami architecture. The Rockwell Group is well known all over the country for their work. 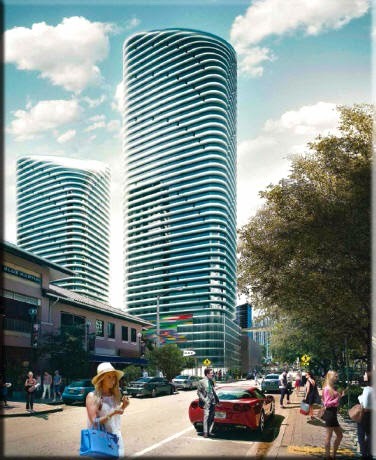 Brickell Heights’ amenities are still being planned but several have been mentioned. They include a residents-only state-of-the- art fitness studio and rooftop Sky Poll Decks atop each building and will offer breathtaking views of Biscayne Bay and the Miami skyline; a landscaped pool terrace on the eighth floor with three pools one being a lap pool; several entertainment rooms for private events; a kids club; a screening room; and, of course, like most other condominium amenities, 24-hour concierge; a security and receiving desk; a multilingual staff; 24-hour valet parking or self-parking with assigned parking in an unbelievable eight-story garage; and, high-speed wireless internet in all community areas. More amenities are in the works. Individual residences will feature modern finishes, beautiful views and open, airy interiors that will be decorator ready. Some of these features include floor to ceiling tinted glass window walls, high ceilings, and large terraces accessed from living areas and bedrooms and have contemporary glass and aluminum railings (the corner residences will feature wrap-around terraces. The kitchen plans show stainless steel appliances, custom Italian cabinetry, imported stone counter tops with convenient breakfast bar in most residences, and imported designer porcelain tile floors. 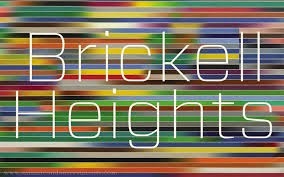 Brickell Heights is definitely the epitome of urban living in Brickell. With so much happening in this popular Miami neighborhood, it is definitely another true testament of the draw to Brickell real estate. Stay tuned as more plans are unveiled.